Sara of My Merry Messy Life decided to make her own Face Powder Foundation. The base is cornstarch or arrowroot (Sara explains the advantages of each.) She then explains ingredients to add in order to tint the powder. Finally she has a lot of suggestions on different essential oils to add. Some oils are good for oily skin and acne. Other oils are good for aging skin, fine lines and wrinkles. As usual Sara has shared a very helpful recipe! 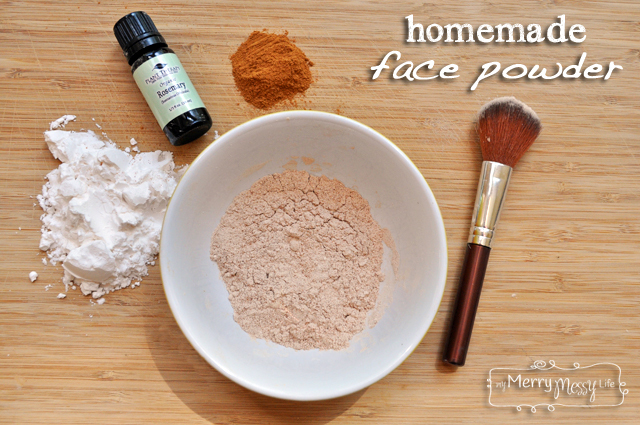 Click on the How to Make Homemade Face Powder Foundation – All Natural link below to see the complete recipe.